Listening to music on the go is the common way people choose to enjoy music on their tablets and mobile phones as it got people relaxed greatly. I have to say Apple does a great job in this aspect cuz the high configuration of the iPhone music playing. Especially after iPhone XS/XR/8/7s Plus came in September, with the 64 bits A12 processor which promotes performance of CPU and GPU greatly. That is to say it will do better in music playing with higher configuration. Well, other than an awesome music player, free music downloads for iPhone XS/XR/8/Plus/X for fast download free music to iPhone with originally audio quality also meets your needs of enjoying music on iPhone iPad Android devices. Actually this way is popular for batch music downloading especially when the iPhone is with slow internet network. 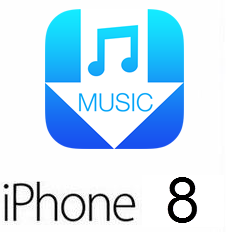 You can freely download music to iPhone 8/8 Plus making use of free music downloads for iPhone XS/XR/8 and iPhone X on macOS. That is to say, it's available to download music with the free music downloader on Mac computer in iPhone formats like MP4, M4V and then move the free downloaded music to iPhone 8/7s plus. MacX Video Converter Pro is such free music downloader for iPhone to help you download music for playing on iPhone XS/XR/8/7s/7/6s/6s Plus/6, iPad Pro/Mini 4/Air 2, Samsung etc. 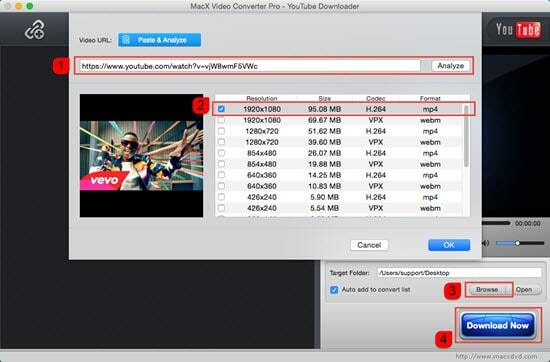 MacX Video Converter Pro is a highly acclaimed online video/audio downloader that is versed in downloading any music, album, movie, video, TV shows, 4K UHD videos from 300+ sites, including YouTube, Dailymotion, Facebook, Vevo, Vimeo, etc, without ads and virus. Its built-in high-quality engine and advanced download engine guarantees a fast online video download speed, up to 30 seconds for a free music download. In addition, the built-in preset profiles for iPad, iPhone, Mac General Video etc. enables you to directly download free music to iPhone iPad devices. 1Free download this free music downloader for iPhone and launch it on your computer. Click "YouTube" icon to enter the download interface. Copy and paste music URL to the message box and click "analyze" to load details. Alternatively, you can click "paste & analyze" button and the software will automatically detect the music details. 2 Choose the music format (MP3, MP4, etc), resolution and file size that you desire for the free downloading music on iPhone XS/XR/8 Plus/8/X, iPhone 7s/7s Plus/7, iPhone 6s/6/Plus/SE/5s, etc. 3Click "Browse" button to specify an output folder on your computer to save the downloaded music on iPhone. 4Hit "Download Now" to start iPhone (8) free music download task. BTW, this free music downloads for iPhone guide also can be used to download movies to iPhone 8/Plus/7s/7/6s/6. Step 1: Free download music transfer for iPhone on Mac or download for PC and run it. Connect iPhone XS/XR/8, iPhone 8 Plus or iPhone X with computer via USB cable. Turn off iTunes auto sync. Step 2: Click "Music Manager" on the main interface to copy music to iPhone 8/6s. Select music files to move on the popping-up window. Step 3: Click "Sync" button to export music to iPhone XS/XR/8/iPhone X from Mac/PC. Besides, it will also transfer music from iphone to mac/PC in batches to save more space on iPhone 8 to store new music. I bet using iOS music apps is the most common way for free music downloads for iPhone iPad users as they wanna to enjoy the music directly. But downloading music with free music apps for iPhone XS/XR/8 Plus/8/X, iPhone 7s demands a wide bandwidth so that you could download free music on iPhone smoothly and fast. Whereas free music Apps like Soundcloud, Freelegal, Beats Music etc. are all highly recommended for downloading free music on iPhone. 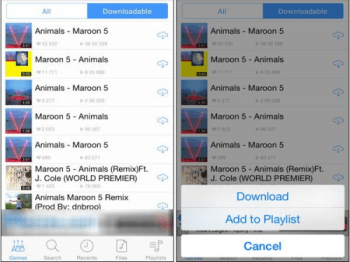 You can easily use these Apps to download songs from the best free music download sites there is nothing short of amazing. Take Soundcloud as an example, just get the free music App from Apps Stores and launch it on your device. Then search Soundcloud for the desired songs and download the song with ease by click the "Download" button. To purchase and download music from music streaming sites is also a superb way for iPhone music download. Similarly high demand of internet is essential for listening music on the music streaming service such as Spotify, iTunes, Apple Music, Google Play Music etc. In addition, these streaming music sites are charged for enjoying online or downloading music on iPhone 8, generally about $10 a month. But the music is highest quality downloaded from these best music download sites. 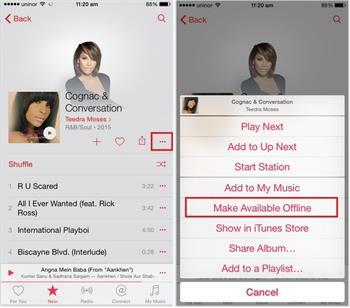 For example, if you wanna download music from Apple Music, you can search the song and choose "Make Available Offline". All things done, of course on the condition that you are a member of Apple Music. Then you can enjoy music on iPhone 8 or iPhone 8 Plus without iPhone transfer. To be frankly, the free music downloads for iPhone XS/XR/8/Plus or iPhone X above could all meet your needs of downloading free music on iPhone iPad and Android devices. However, suit is best. If your iPhone internet is fast and well connected, downloading music from streaming sites or free music Apps is highly recommended. If not, you'd better choose free music downloader for iPhone on Mac to download music to iPhone iPad in batch. In this way, you can also get the same high audio quality ad-free and virus-free but left out the annoying buffering time.